Thiaucourt Communal Cemetery can be found on the road D904 which leads from Thiaucourt-Regniéville to Verdun. 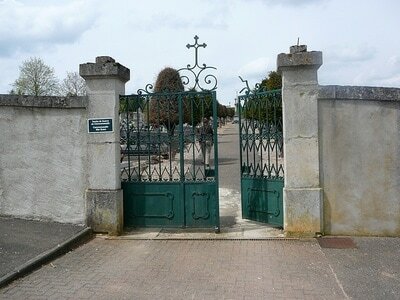 Heading out of Thiaucourt-Regnieville towards Verdun, there is an American Cemetery on the left hand side of the road and Thiaucourt Communal Cemetery will be found a further 300 metres along this road. 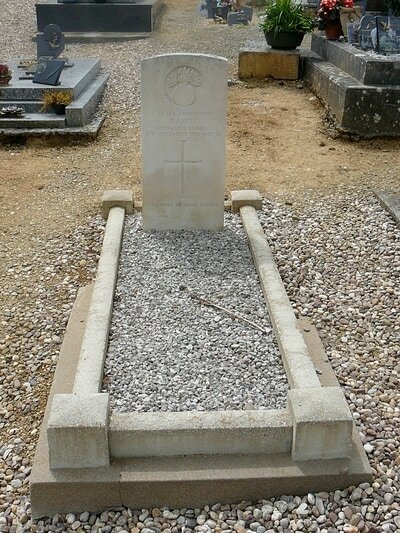 Thiaucourt Communal Cemetery contains one Commonwealth burial of the First World War. 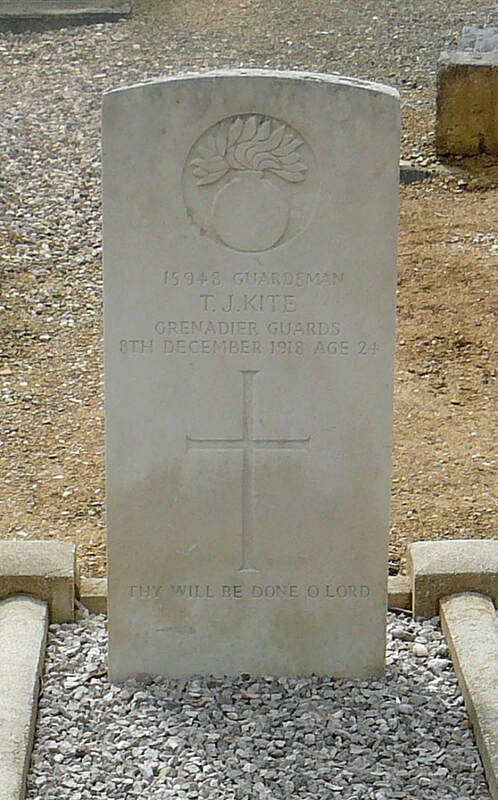 15948 Private Thomas John Kite, 1st Bn. 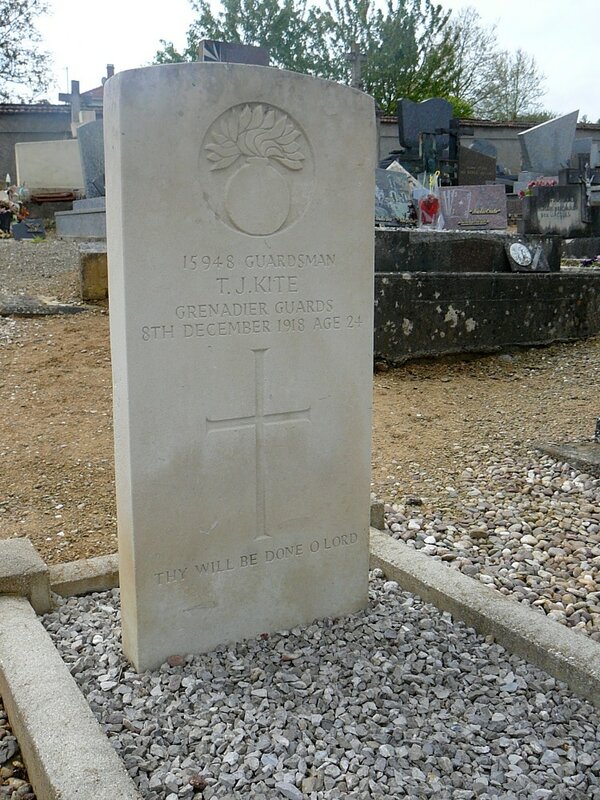 Grenadier Guards, died 8th December 1918, aged 24. Son of William and Mary Jane Kite, of Wentloog Cottage, Castleton, Cardiff. Born at Marshfield, Cardiff.